We love our customers and we love hearing what you have to say. If you had a great experience with us, share it! Universal has been out to my home on two separate occasions. I have experienced fantastic service and their courteous technicians really go above and beyond when it comes to respecting the work area in your home. They wear shoe covers, lay down tarps in the home and they clean up after the job. All questions are answered regarding the work they will perform all while providing competitive pricing. I highly recommend their service! So happy with every experience we have had with Universal Plumbing and Sewer. Always quick to provide service, and they do a fantastic job! Our tech today, John P. was very knowledgeable and friendly. He cleaned everything up and was very professional! Thank you so much! Adam and JD did an excellent job. Adam did a floor break and relocated a drain. JD installed a new water heater. Both were professional, neat and cleaned up when finished. Would use either again for my plumbing needs. Professional, nice guys. Great work. Fixed drains sink stopper, and toilet. I would recommend Mark to (the plumber sent to me) to anyone. Very good experience. I have used them twice. Both times they have showed up on time and completed the work timely. My latest job was replacing 2 toilets. Mike handled everything from picking up the merchandise from Home Depot to removing the old toilets from our property. I highly recommend Universal Plumbing. Best plumber ever! Came out same day I called, even though it was not an emergency. Mark M. explained things clearly, then quickly fixed my two toilets so they now work like new. I’m putting Universal on speed dial for future plumbing needs. Top-notch friendly service at a reasonable price. The two guys showed up and replumbed the entire gas line for the house. They did a great job. When the house was built the wrong type of unions were used and gas was leaking in to the house. These guys found and fixed everything. So happy I hired them. I called universal on Friday night at 5:00 right when they close. I wasn’t even expecting someone to answer but they did and were able to squeeze me in the next morning. They called 20 minutes before he arrived like promised and he was able to fix my kitchen drain that wasn’t draining properly due to the fact that I am the one who installed it and I’m no plumber. He was able to correct my dodgy work quickly and professionally. I would recommend Universal to anyone in need of a plumber. Today was my first experience using a plumbing service. I highly recommend the team at Universal Plumbing & Sewer. They were polite, professional and informative. The technician, Mike, explained everything and performed the repair/replacement in no time at all. If I ever need a plumber again, I’ll be sure to contact Universal. Billy was AWESOME! Very thorough. Punctual, too. The best thing about him was he took the time to explain to me what he was doing and explained “why” the plumbing issues I was having. Many professionals talk down to their customers for not knowing what they are doing, but Billy is a teacher at heart!! Awesome job!! Felt very comfortable leaving the guys at my home while I went to work. They were professional, considerate and kept me informed on how the job was going. I would 100% recommend. From the first time I called, everyone I worked with was very professional and knowledgeable. Billy was especially helpful and after fixing the leak, made recommendations for additional things we could do to prevent future issues but did not pressure us at all. When we decide to do those upgrades, we will definitely be using Universal! Thank you! Excellent, timely, professional, friendly service by Jonah and his helper. Unclogged the kitchen sink drain, reassembled the sink trap leak free, cleaned up the area within an hour. Called Universal Monday 5:00 pm, were able to service 9:00 am the next morning. Would definitely recommend and/or call them again for this type of problem. Professional, courteous, responsive, thorough, knowledgeable and reasonable are all words that I would use to describe the service that we have gotten from this company in the past week in dealing with our plumbing problems. We would have any of them back to provide service in the future. I would highly recommend them. Even after a grueling day for him on a time-consuming emergency job, Billy was pleasant, efficient and resolved our water hammer issue with a replacement of the arrestors. We have been satisfied customers with Les N. and Universal since the company was founded and launched. Everyone at Universal was fantastic! Courteous, friendly woman answered the phone, scheduling was prompt, they called when the service technician was on his way. Mike and his assistant arrived on time. Clean-cut and professional men. They addressed all my concerns and got the work done quickly. Didn’t try to sell me extra services like every other plumber that’s stepped into my home. HIGHLY recommend Universal Plumbing. Fantastic company! Professional, fast, and great pricing. I highly recommend this company and will use them for all my plumbing issues. Jonah was spot on and went right to work. He had the issue diagnosed and fixed in no time. Thank you Universal for being so professional. A job well done! From the office staff to the field service personnel, the team at Universal Plumbing & Sewer was very courteous and professional. All information provided was accurate and pricing was reasonable. Upon job completion, the service guys cleaned the work area completely, and timely. I am truly impressed with Universal and will certainly contact them for any future plumbing needs. Showed up on time, diagnosed very quickly, work was done neatly, gave me a good price. Covered his boots with plastic bags when entering the house. Nice young man. This is my second experience using Universal. The staff listened to my assessment of my drain problems and sent the best person for the job. Fred completed the repair promptly and carefully explained my options for annual maintenance and prevention. Thank you Fred for all the advice and care you took to keep my space clean! I am so happy to find this company and competent staff! I had a well known local company come in to unclog my drain. Not only was their attempt unsuccessful but I was quoted $700 to have a new one installed. Mark from Universal was able to unplug the drain in less than an hour and did it at a fraction of the cost. He was very courteous and professional. I will certainly use this company again. Hands down the best service call by a plumbing company that I have ever had. Friendly, helpful, professional, and upfront with all work details. Highly recommend them. Adam did a great job. He kept me informed throughout the appointment of what he was doing and why. He wore shoe covers in the house and left the area he was working in very clean. We were very happy with the job he did. Les thoughtfully assessed the situation and offered alternative solutions. He started with the most simple, less costly possibility and did not push for more than what was needed. He and Fred were courteous and worked diligently. Good people doing good work. If more needs to be done, I would not hesitate to call Universal Plumbing and Sewer. I have already recommended them to a friend. Jonah was very professional and personable. He installed a new sump pump in our home within an hour. My husband and I are so glad we hired Universal Plumbing & Sewer. Very satisfied with customer service, on time with scheduled appointment. Mark was just super - knows his job and kept us informed as to what he was doing, what it would cost, etc. Would recommend to family & friends. After receiving a courtesy call from the office, the serviceman arrived right on time. He was friendly and professional. I was charged as quoted for the work performed. Would definitely use this company again. Jonah was amazing! Excellent service, friendly and professional, knowledgeable and efficient. I love that this is a family business and I will be calling Universal for all my household plumbing needs. Highly recommended. I needed to have my garbage disposal replaced and used Home Advisor to find a plumber. I was directed to Universal Plumbing and I couldn’t be happier. Mike B. arrived on time, was very professional and very friendly. They put in the new garbage disposal and made sure there were no other leaks. He also fixed the light over my kitchen sink! I would definitely call Universal again for my plumbing needs. Billy showed up precisely within the quoted window of time. A courtesy call was also made prior. Upon his arrival, we reviewed each problem as a team. Billy was courteous and went through each issue taking his time in explaining what could be the problem as well as the solution to each. Once he started replacing the sump pump, he did it quickly without any mess. Fred was prompt, professional, kind, and thorough. I would definitely recommend this company. Excellent company. Handled my emergency quickly and with high quality. Provided guidance to me on how to prevent future mishaps. Highly recommend. 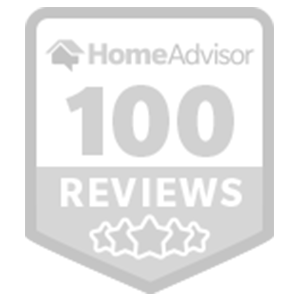 Mike was extremely helpful and very knowledgeable. Kept us informed along the way. Willing to work with our insurance adjuster and explain the situation. Would definitely recommend Universal Plumbing and Sewer!! Very clean and professional. Used slip covers to cover feet before entering house, disposed of all waste, and left the areas they worked in cleaner than the areas were before they arrived to work. Very professional and dependable. Mark came out this time and did an excellent job! I have used Universal Plumbing many times before. Mark did excellent work and even went back to relight my hotwater tank since he had to turn the gas off to my whole condo. I won’t use any other company! The tech arrived on time, was very friendly, and patiently answered all of our questions. He did a great job and cleaned up after he was done. I would recommend Universal to all friends and family who have any plumbing problems. Fred and Jonah were professional and courteous and more than competent in clearing out our home sewer line with the high-pressure cleaner. I would recommend them to anyone.